Please be advised that the indie side of the publishing industry is now rife with scammers looking to 'sell' you expertise they don't have. Unfortunately, in a gold rush, the people who make the most money are the ones selling the shovels and other supplies (aka insider secrets). Before you give anyone your money, please do your due diligence. Otherwise you'll end up implementing bad advice as you start to market your books. There is truly a lot of snake oil slithering around right now, full of misinformation that will kill a book and your dreams along with it. 1. Has the person actually sold books? 2.Do they have more than 1 review on their books? 5. Is this expert someone you've heard of or a complete stranger with a very persistent squeeze page complete with flashing, blinged out graphics? Strangers with pop-ups exhorting you to sign up and you'll get a free 10 page ebook or what-have-you are not credible. Go ahead, get the free ebook and read it. You'll find it's full of fluff with nothing actionable. 6.Be wary of the author who uses 'expert' status to feed their ego. They won't do you any good no matter how much money you throw at them. This is how I handle ABC, but I know other authors prefer XYZ. In the past, LMNOP was effective, but over time, that has been affected by EFG factors. Notice how I'm giving a broad overview of, not just my opinion, but what others think as well as history on the topic<---this is a sign of balanced viewpoint and I try to do it as much as possible. The author with the hungry ego will refuse to engage questions that challenge their dearly held paradigm. There is only one true way. The answer is A and only A. When you see that kind of rigidity, you should run far, far away, or at least recognize you're getting a very narrow view of a topic tainted by the egomania of the instructor. You'll need to do more research. In my opinion, the most valuable mentors are the ones who can integrate industry history and other people's experiences in their teachings. There is no one true indie way and you might be the author who thrives on a strategy mix of BXM while another might need DLK. So, what is the best way to find current information on indie publishing? My advice is to ask authors what training and conferences they recommend. In fact, this author says: Go to a con. Preferably one run by RWA as they've been quick to marshal their resources on behalf of indies. Their national conference is excellent, but if it's too expensive for you, local chapters usually have a yearly conference that is very affordable. There are all sorts of online workshops as well. 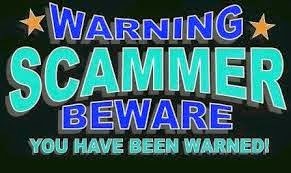 You can still run into a dud, but it will be cheaper than that $197 price tag on a scammer's squeeze page and you'll meet other writers which will expand your network. You can find out more about the resources I recommend to new authors (including RWA) on my Advice for Writers page. Oh, and what qualifies me to write a list like this? Bitter experience. I've been there, done that so, hopefully, you don't have to.